It’s time to release this babies! Earlier I dropped Kawaii-Styles custom of my Ciggy, today I give you the “Dark Heart” Ciggy. 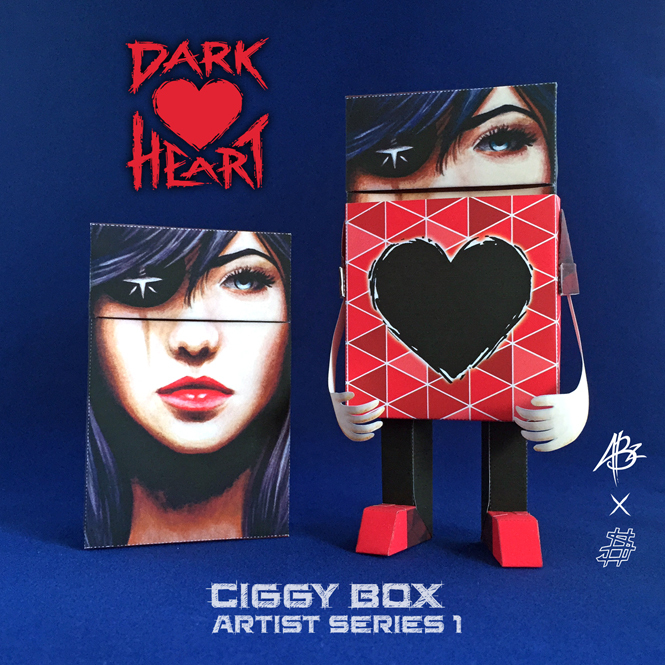 Dark Heart Ciggy is made by the magnificent ABZ of OH-SHEET paper toys. Pay a visit to her page, she’s outstanding! I will follow up with two more Ciggys, just hang in there! You’ll find the Dark Heart Ciggy HERE.